A young woman is taken hostage by a police officer gone mad. Two burglars enter a summer house. They should have checked to whom it belonged. This movie is about the stern gangster customs of one of the Russian provincial cities in the mid-90s . And you could expect either a stupid game of blind man's buffets or a truly bloody showdown with the stacks of "bluffers". Dima Nikitin: We live like animals and die like animals because we are nobodies to each other. A man's stand between 800 lives and corruption. It was another Russian film just like the Oscar nominee 'Leviathan' that highlighted the corruption in a city administration, except it had no depth in its narration like that one did. A simple tale that takes place within the 24 hours, but strongly told. From the domestic violence to the political targets, the film extraordinarily portrayed its each character and some of theirs double-cross. Besides, it discloses what the higher and lower class expects from each other, like it is already in order and those who disturb it will be seriously get affected. 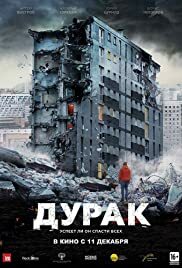 When a public utility worker Dima Nikitin finds an enormous crack in an apartment block, initially he ignores it, but later thinks something terrible going to happen. As his duty, he notifies the higher ranked authorities in the middle of the night when they were partying. At the time when it was going to be declared emergency in the town and to take all the precaution measures, the tale takes a twist that changes the fate of many who were involved in the matter. So the dark side of the story comes into the display. Showcasing Russia in such a bad light really hurts if you're a Russian. More than that, the outsiders judging a country from what the film depicts is very sad. It was neither true story, nor inspired by the true story, but this kind of things happens in every other countries. More or less the experts agree with the film to the present state of the Russian political landscape. It was financially co-supported by the ministry of culture that tells us they're going tough against such action. So this film was received well from all the quarters thinking such kind of portrayal might lead to transformation in the struggling society. "A fish rots from the head down. If I am tainted, then so are all of you." In this, the main event was given the prime focus than any of the film characters. That's why the happy or the sad ending won't matter. 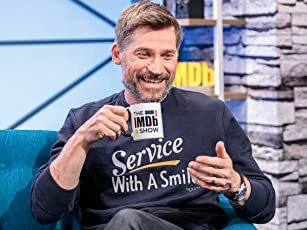 But there was a character who was preferred the most for his involvement in the plot. In the meantime, it also followed other characters to add more complication in its narration and the story to get going. Overall, it was something like a chain reaction that began with a domestic violence and moved to the public service till it reached its highest end, I mean the head of the each department and the politicians. What the film's end was outlined is something the negative side of the society. The lack of the knowledge of the lower class families and the negligence of the civil servants is the reason for most of the tragedy that could have stopped before it to happen. The title is a metaphor for one who unnecessarily raising his voice in a matter where others were being quiet. All the above, knowing what's coming at you and taking an improper way to tackle it is what's going unnoticed. Unless every citizen join hands to fight against the corruption, this thing will go on. The film totally captures our attention. Obviously a slow start, but you could have not expected the way it ended. I haven't seen a single Russian film at the recent time, but very pleased with this. It was a double strike, delivering a message as well as a fine story for a film who seek only the entertainment. In some way, it was so much simpler and better than that Oscar nominee I mentioned. Because unlike that film, in here majority of us who always root for a particular film character mostly won't end in disappointment. That's the cleverness of this narration. If you had liked that film, then you should not miss this film as well.